So you probably heard about WebM, right? It’s the awesome new media format being pushed by Google and a large number of partners, including Collabora, following the release of the VP8 video codec free of royalties and patents, along with a Free Software implementation. It turns out that if you are a user or developer of applications that use the GStreamer framework, you can start taking advantage of all that freedom right away! Collabora Multimedia has developed, along with Entropy Wave GStreamer support for the new format, and the code has already landed in the public repositories, and is already being packaged for some distributions. If you’re running Debian unstable, or any of the other distributions which will be lucky to get the new codecs, and support packages soon, you should be able to get this working out of the box real soon now. Check the tips on WebM’s web site on how to find WebM videos on youtube. So you’ve seen people talking about WebKit2, perhaps have seen someone claiming it “drops support for Linux“, and you’ve been wondering what the hell that means for WebKitGTK+. Well, welcome to the preemptive Q&A section with WebKitGTK+ maintainers =D. Let’s first explore some history so we can better understand what exactly is going on. Currently, when we say “WebKit” we really mean one of the ports that are built on top of WebCore using the WebKit layer. WebCore is the part that does all of the hard Web-related work, WebKit an API layer that exposes WebCore functionality in a coherent way, so that the platform-specific ports can expose a public API layer for their applications to use, which is usually also called “WebKit”. This WebKit layer was designed by Apple to build the Mac, and Windows ports it maintains, and was later released as Free Software so that other ports, such as the GTK+, Qt, EFL ports could be built on top of it, instead of having to do all the heavy lifting from WebCore directly. WebKit2 is nothing more than the second version of that interface, with a whole lot of changes on what you can expect from it, and on how it interacts with WebCore, and the platform-specific API and UI. First of all, the first WebKit was not API stable, and that interface was usually not made public by the various ports – they only exposed their platform-specific APIs. WebKit2 is being designed to provide a stable, cross-platform, C-based, non-blocking public API. This is huge. It will allow cross-platform code to be written without having to consider language, and port differences for basic functionality. The second big change is the API will be made fully non-blocking. Currently most things you do are asynchronous already, but some of them may be completed in a synchronous ways (like, loading a string into WebKit instead of an URI). This is important for responsiveness, and is also a very important need for what comes next: process splitting. WebKit2 is NOT a rewrite of the whole WebKit stack. Webcore will continue mostly unchanged, and all ports currently building on top of it will keep working. It is also not a fork – the code lives in the same tree as the current version of WebKit, which will allow us to progressively move towards using this new, improved layer. WebKit2 is not Apple-only, and it is not dropping Linux support. Initial builds of the code that is being landed will likely show up building on Linux in the near future (specially because us porters are already eager to play with it). In the near future, nothing special. We will continue working towards making it feature-complete, more stable, faster, and rocking on it as always. We will, though, start working out how we can best take advantage of WebKit2 in order to provide an even more awesome library for the G world. What this means is you can expect us to have a library that will provide a nice GTK+ widget, just like we have today, with a GObject-based API, like we have today, but that is built on top of this new WebKit2 infrastructure, taking advantage of the process-splitting, and the bigger focus on not blocking the UI thread. This should give us a platform that is more stable, and faster and more responsive than what we already have today. The API is bound to change, of course, but the WebKit2 version of WebKitGTK+ will be a separate, parallel-installable library, and we will keep supporting the WebKit1 version while we work on making the new one at least as good as the current one. This is long term we’re talking here. We’ll likely see WebKitGTK+ 1.4, and 1.6 come to life before we are satisfied enough with WebKitGTK+2. We hope this clears some of the doubts up, and lightens your hearts! 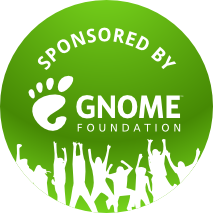 We’re coming close to GNOME 2.30 release date, and we are getting ready to branch a stable release off of WebKit’s svn trunk in preparation for that. The idea of the stable branch is to try to maintain, and improve stability, with no additional features going in. Speaking of features, though, if you’ve been paying attention you will have noticed WebKitGTK+ has come a long way, now. We came from not having basic features such as download support or openning links in new tabs, a more-or-less working HTML5 media implementation, and very few or missing in action developers to a thriving project, that gets more, and more attention, and contributors every day, with advanced features available, and rocking HTML5 media support that leaves little to be desired. It’s been just over one year since we started rolling mostly bi-weekly releases, each adding more awesome features. There are still many issues, and we are not always equipped as a team to handle all the specifics of the engine ourselves, but I am really happy with the progress we’ve made, and really thankful for the support my employer Collabora has given all the way for this to happen, including the early work on plugins, and many other things before my time as a contributor. When I switched to using Epiphany with the WebKit backend as my default browser back in January 2009, that meant having to deal with a whole lot of misbehaviour, and work-around a lot of painful brokeness. These days I enjoy a snappy, functional browser that makes me happy. If you haven’t done so yet, go download, and test the newest Epiphany, with the latest WebKitGTK+, and help us make the GNOME 2.30’s web browser rock even more! Most times when I blog about WebKitGTK+ it’s to talk about new features, and their usage in Epiphany. This time I’d like to tell those who care more about our test infrastructure. Like I said in my previous post, testing is something we take very seriously in WebKit land. It would be hard to get such a complex project, with such diversity of platforms moving forward without automated testing. Our bots are also, as of today, the first ones to run platform-specific API tests. Almost a year ago we started writing small tests based on glib’s GTestSuite, and they have been very valuable in helping us make sure our API expectations aren’t breaking (at least unknowingly), and to be able to test things that would be very hard to have Layout Tests for. So, yay! Thanks to everyone involved. If you feel like helping WebKitGTK+, choosing a bunch of these (specially non-render-dump) skipped tests to make them pass could likely be a good first step =).